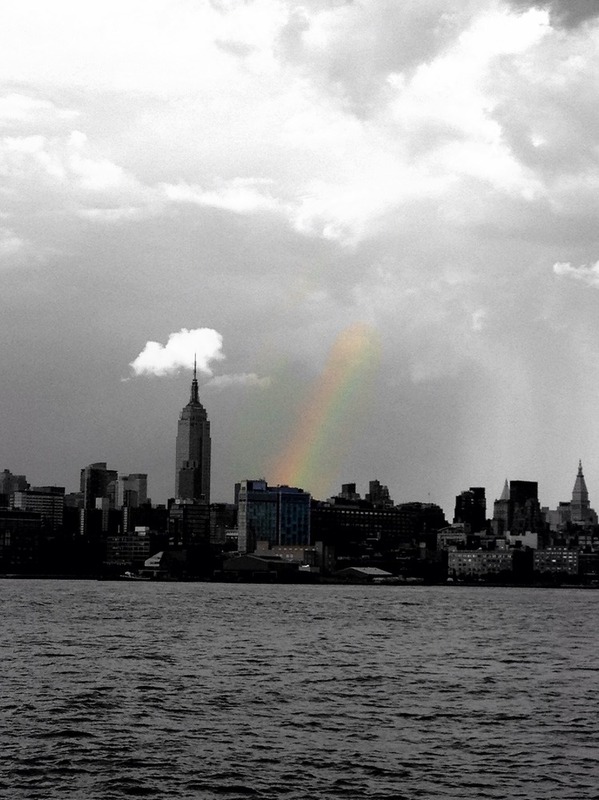 Shot this from Hoboken using my iPhone 4s. Well the rainbow was so light and fading away. so the only way I could make it stand out was to use Color splash and make the rest of the image gray :).